Goji berry lemonade is a refreshing, antioxidant-rich drink to serve chilled over ice on a hot summer's day. If you are one of those people who has the lemonade pitcher ready and refrigerated during the heat of the summer months, you'll love filling it up with this superfood lemonade version that gives you a bit more than just lemons and refined sugar. This one is packed with some of our top 10 favorites including camu camu, aloe vera, schizandra and of course the goji berry. Often made with lemon juice concentrate and lots of white cane sugar, traditional homemade lemonade, although a fond childhood memory, is usually not all that healthy. Here, we have changed things up a bit with the grown up version that most kids will enjoy too. Nothing wrong with adding in a few more ingredients to help replenish the immune system as well as provide an energizing drink in fatigue-inducing hot or humid weather conditions. It also protects the skin when spending many hours in the mid-day sun and is additionally high in hydrating phytonutrients. 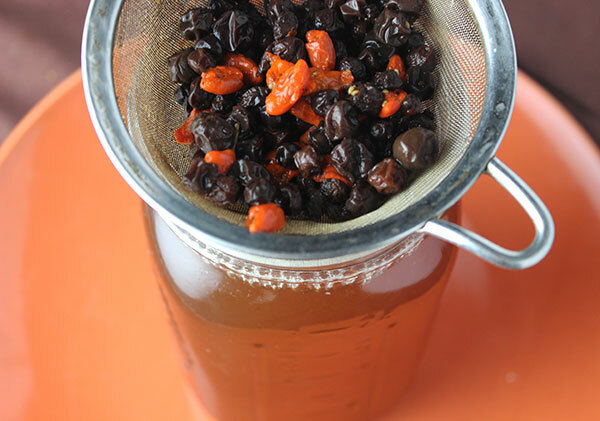 This recipe is easy to make once you've prepared the schizandra-goji tea base. Its just a matter of blending and chilling your quart or two of lemony goji-flavored goodness in the fridge for at least a few hours, so its nice and cold. We call this goji berry lemonade a "orange lemonade" rather than a pink lemonade recipe. 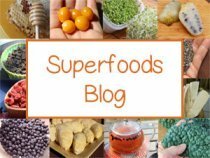 The orange color comes from the brightly pigmented goji berry as well as the camu camu powder. We are make it homemade kinda folks and love to do things from scratch utilizing wholesome organic ingredients and natural sweeteners. 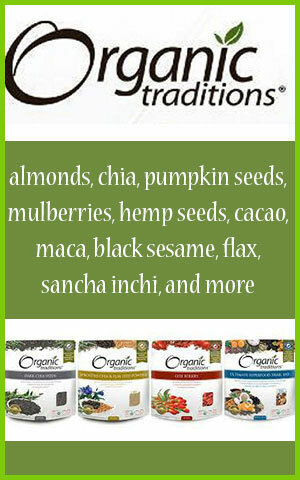 We create our own homemade nut milks as well as kombucha, kefir and rejuvelac. It's not only more cost effective than buying commercially manufactured products, but it's significantly more nutritious than consuming mass produced beverages intended to render a uniform end result with a longer shelf life. Making a homemade lemonade recipe is the perfect opportunity to add in a higher class of foods, herbs and super fruits and really use the drinks you consume as your medicinal aids. In addition, you can also tailor the recipe using different combinations of natural sweeteners to get just the right amount of sugar content for your unique conditions and health goals. We use raw honey, along with a blend of stevia and/or lakanto to help lower the glycemic index a bit. 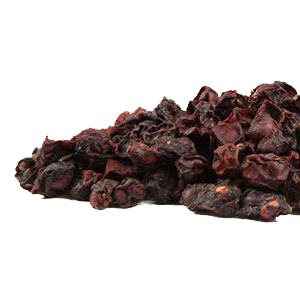 Schizandra berry - is a blood purifier and liver cleanser, useful as a "beauty tonic" for promoting youthful, supple skin. Schizandra is also a powerful rejuvenating fruit for the eyesight, known to increase range of vision and clear the eyes of redness. Used as an herbal adjunct for treating liver disease (hepatitis), the teas or extracts help to protect the liver from toxins primarily due to its high amount of antioxidants and lignan compounds. 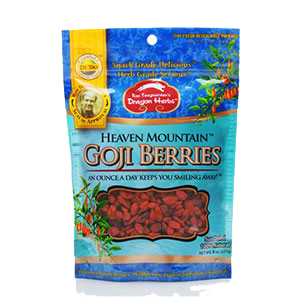 Goji - is abundant in polysaccharides that help to fortify the immune system and have shown to be effective in raising the health enhancing antioxidants superoxide dismutase and zeaxanthin. 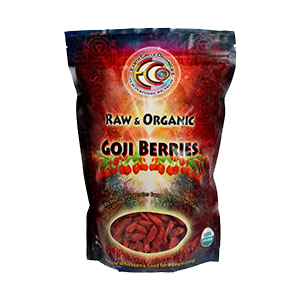 Goji is very high in beta-carotene and also a good source of vitamin C. The berries are tonifying to the liver and kidneys and are good dietary superfood for anemic individuals. 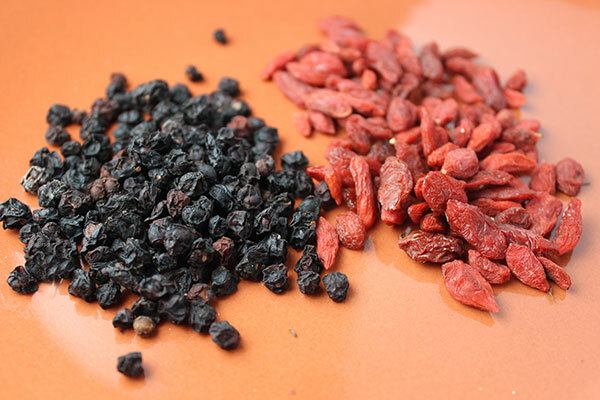 Goji and schizandra are both powerful adaptogens and tonic berries, traditionally used together throughout Chinese herbal history in tea formulations. Aloe Vera Gel - is cooling to the body and soothing to the digestive tract. 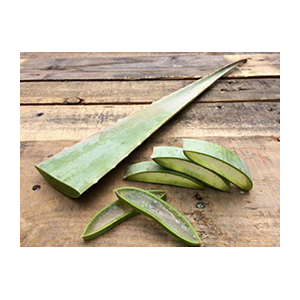 Aloe is high in MSM content or plant-based sulfur and not only softens and beautifies the skin when applied directly, but also heals from the inside out, moisturizing and nourishing the skin when consumed. 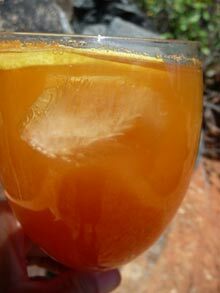 We also use fresh filleted gel in our charcoal lemonade recipe for its effects as a mild laxative. Camu Camu Berry - is one of the highest sources of Vit. C and excellent for the nervous system, brain, skin and eyes. It is useful for the biosynthesis of collagen, L-carnitine as well as certain neurotransmitters needed for optimal brain function. Vit. C deficiency can cause various symptoms like bruises, weak connective tissues, mental weariness and general fatigue. 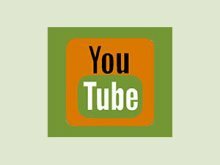 Marine Phytoplankton - This is an optional ingredient, but really works to boost the mineral content of your drink immensely. 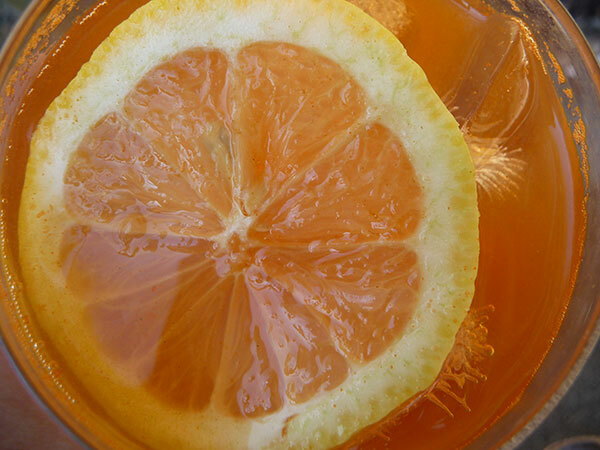 Adding a few drops of marine phytoplankton, a form of oceanic microalgae, will change the bright goji-orange color of your lemonade, but will give you very energizing side-effects. 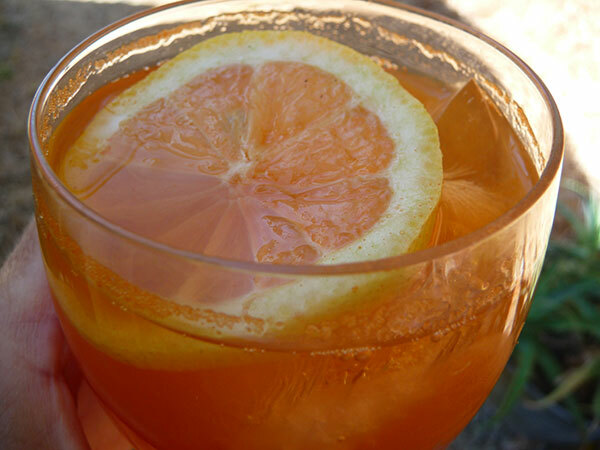 This is a delicious and revitalizing "orange lemonade" to make during a heatwave. With a few of our summertime superfoods, it will help to cool the body and keep you invigorated and active. Simmer a little over one quart of pure water with 2T schizandra and 1T goji berries for 30 minutes. Allow to cool. Strain tea and add the remaining ingredients and blend in a high speed blender. Strain liquid through a fine mesh strainer or nut milk bag. Add 1-3 drops of marine phytoplankton if desired and stir. Refrigerate for several hours. This will also reduce the frothiness created when blending. Serve with ice and a lemon round or wedge. Makes one quart or so of lemonade. 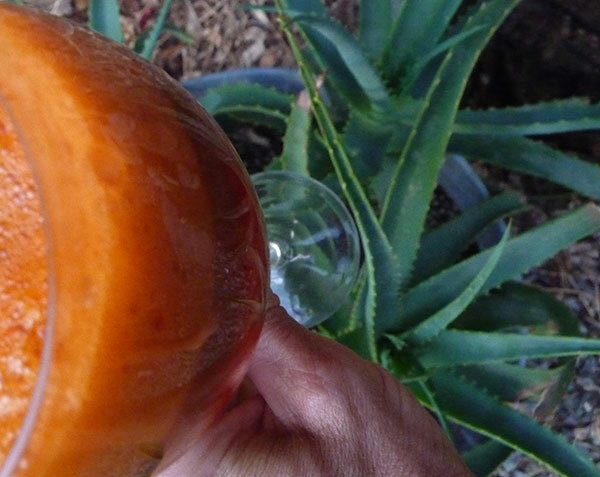 Sometimes we also add a cup of plain homemade kombucha to this recipe or even rejuvelac. You can also store this lemonade in the freezer for later use to have ready on sudden hot summer day as a cold refreshing superfood drink or make your own goji lemonade popsicles.